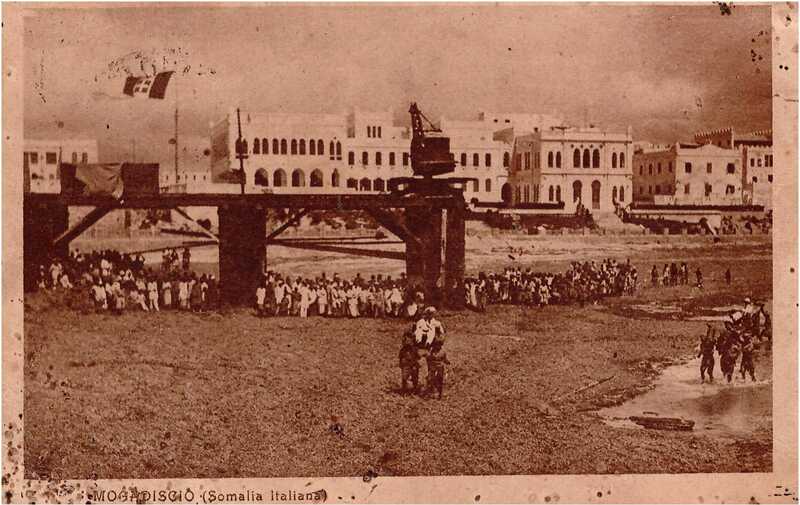 Not everyone knows that this is the first and old PORT of Mogadishu. It was situated in the actual (Secondo Lido) where you can also see the late ( Dawladda Hoose ee Xamar), now Al Uruba Hotel. Do you see the lifting machine on the edge of the bridge ?. Today, there is still the remaining of the pillars or the feet of the bridge. You can see them in the photos of the same place taken recently. Try one. On the other hand, the carrying of Italian officers on the shoulder by Somali men bothers me so much that I wish I don’t come across another picture like that, any more. It’s offensive.